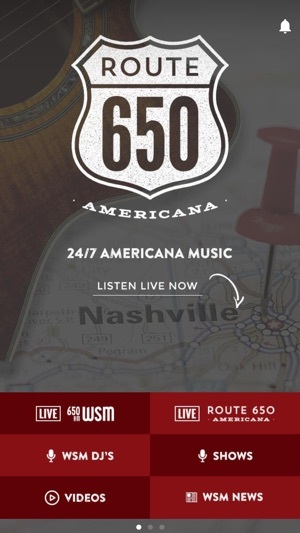 650 AM WSM can now be taken with you wherever you go! The station that brings you only the best in Country Music, featuring the world famous Grand Ole Opry. 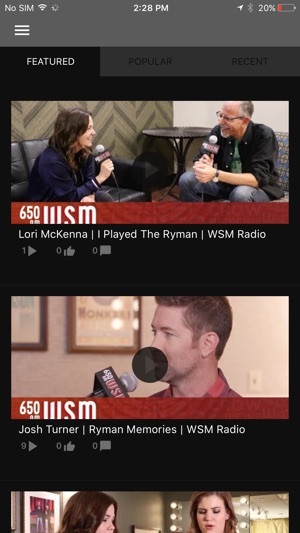 With the WSM mobile app, you can now stay up to date with WSM events, shows, and special guests, as well as Listen Live on the go! Hello. 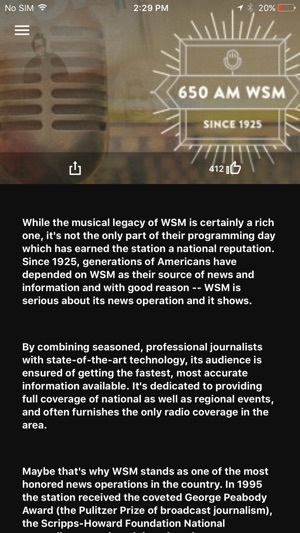 I love listening to WSM,! 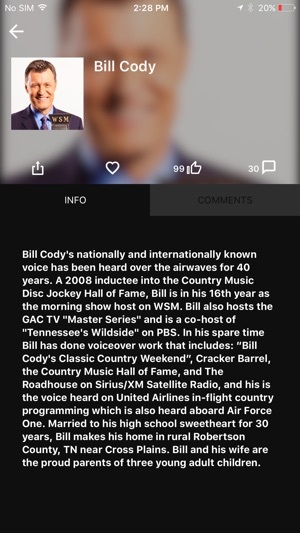 I am a voiceover user on the iPhone, and I am having difficulties switching between which stations on the app I want to listen to. It would be great if there was a way for blind users to do this, so we can also have the freedom to switch to either the Americana station or Aubrey Nashville radio. Thank you. Responsive and works well. Needs to show what station you are listening to as well as song and artist information.